For the past few weeks we have been preparing our house to put it on the market. We have been packing for weeks & trying to get all of the clutter out our home. I don’t think I realized just how much craft stuff Mai & I actually had until I started trying to box it all up. I have been having a hard time throwing any of it away & an even harder time picking which items have to get packed away & put into storage until we move. 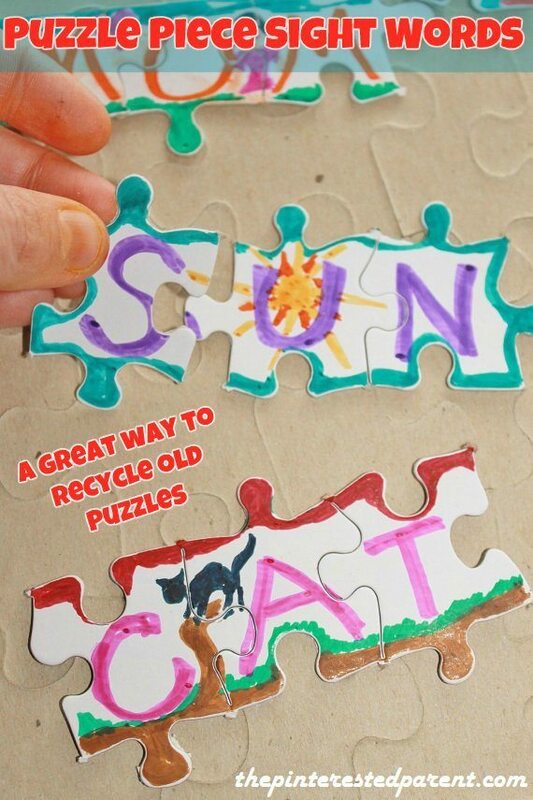 Right now I am just trying to use any loose pieces of craft material or pre-painted or pre-cut items. Mai wanted to work with cupcake liners and make jelly monsters. She had a very specific idea in mind. While she created her jelly monster, I worked on a different kind of jelly creature. 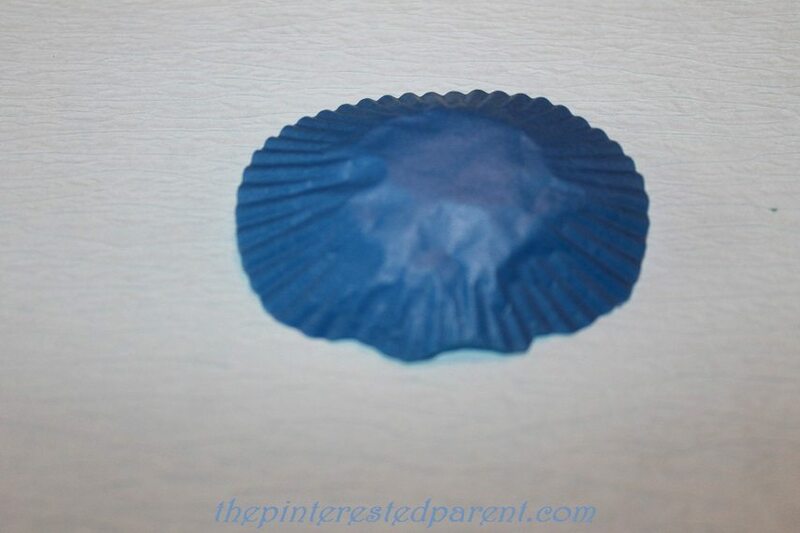 Cut a wavy pattern into the bottom of a cupcake liner. Cut 4 pipe cleaners in half. Curl the ends of all 8 pieces. 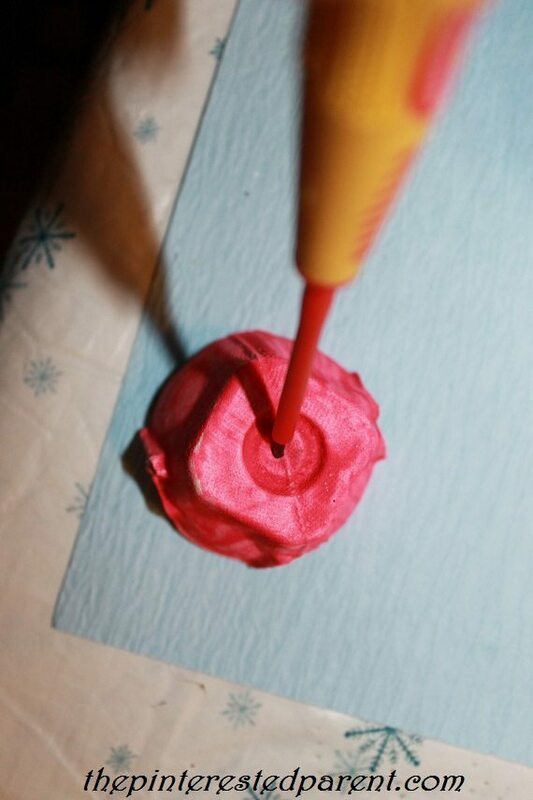 Place the liner on a piece of paper & arrange the pipe cleaners underneath. Use a liberal amount of glue & glue the pipe cleaners to the paper. Do not worry if not every section of pipe cleaner touches the paper, when the glue dries the cleaners will hold. 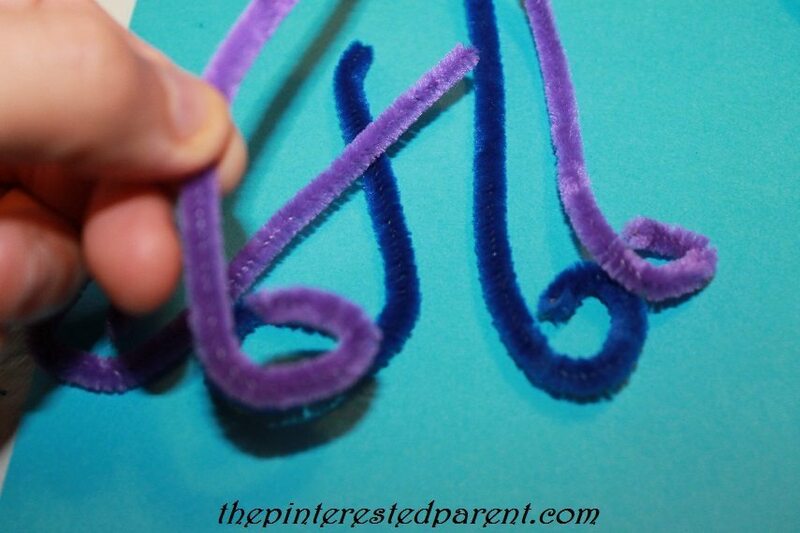 You may weight down your pipe cleaners while they dry if you want them to lay flat. 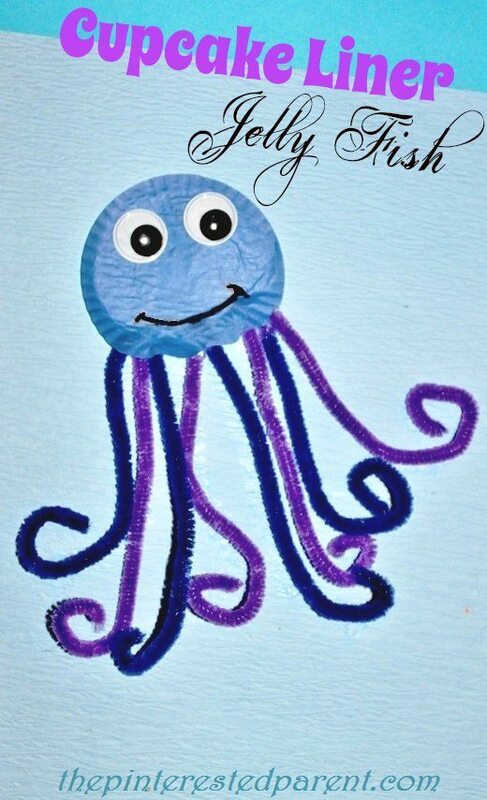 Add googly eyes to finish off your cute little sea creature. 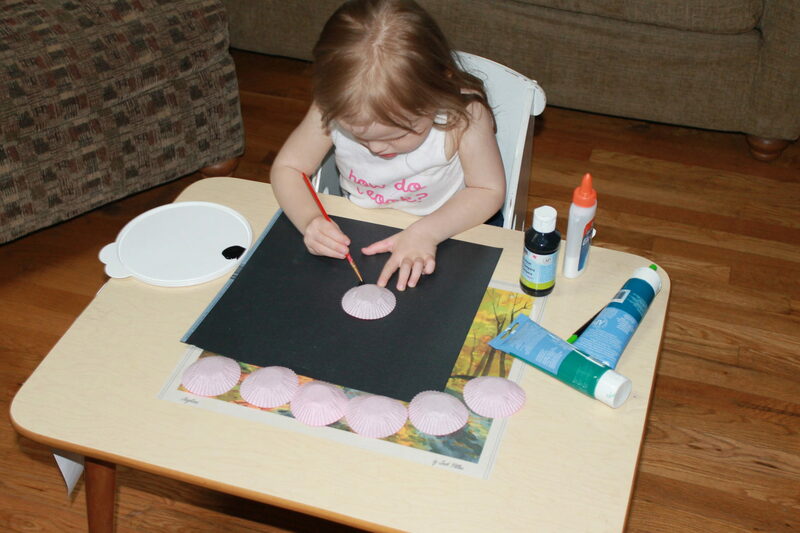 We had several egg carton sections that Mai had painted last week for a different craft. 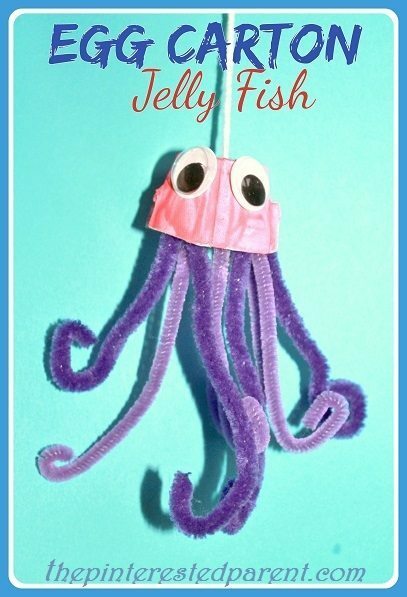 We used those to make another jelly fish craft. Paint a section of egg carton & let dry. Poke a hole through the center of the egg carton section. Poke a string through the hole & tie a knot on the inside of the section. Similar to the craft above, cut pipe cleaners in half & & curl the ends. Glue the pieces of pipe cleaner to the inside of the egg carton. Let the glue dry & add googly eyes.